WorldSBK and WorldSSP teams will have one last chance left to make their final preparations ahead of the 2019 MOTUL FIM Superbike World Championship season opener. 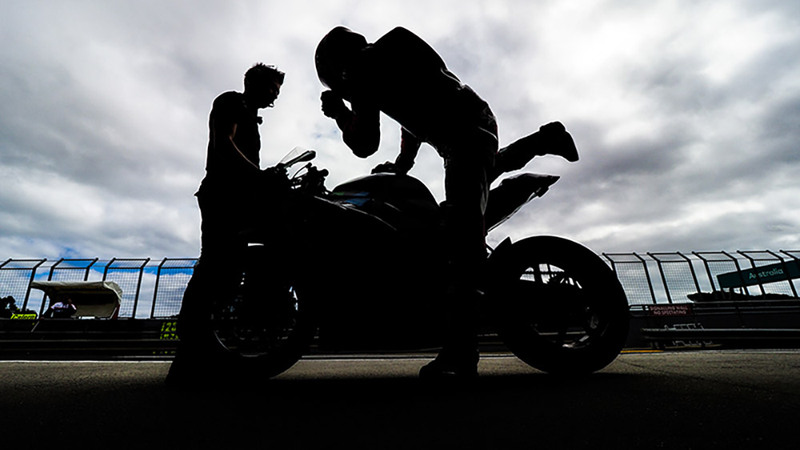 In fact, from 18th-19th February riders will be taking to the track around Phillip Island Grand Prix Circuit for two more days of Official pre-season testing, just a few days before the Yamaha Finance Australian Round will take place at the same venue from 22nd-24th February. The Kawasaki Racing Team WorldSBK will head Down Under with a lot of confidence after a strong winter period that saw reigning World Champion Jonathan Rea come out on top during both tests held at Jerez and Portimao. Testing some new items introduced on his Kawasaki ZX-10RR, the Northern Irishman was pleased with his overall pace and showed off to be ready to defend his crown and hunt down his fifth back-to-back WorldSBK title. Providing reassuring feedbacks to his crew, Rea has also declared to be feeling stronger than ever with his green machine this year. On the other side of the garage, his new teammate Leon Haslam didn’t need a long time to get reacquainted with the WorldSBK machine, as he also had a strong pace over the winter. But the real revelation of the winter period has been Alex Lowes (Pata Yamaha WorldSBK Team). The British rider closed in second position the two-day test held in Portugal and he declared to be ready to fight for the podiums in every race weekend this year. Sharing the garage with Lowes, Michael Van der Mark also has his goal set high for the new season after a promising performance during the winter tests. Making their debut in WorldSBK, the GRT Yamaha WorldSBK Team also showed off a good potential at the previous off-season tests. Joining the field with 2018 WorldSSP champion Sandro Cortese and veteran Italian star Marco Melandri, the supported Yamaha WorldSBK squad hope to make a further step forward with their YZF R1 at the official test ahead of the season opener. For the Aruba.it Racing – Ducati team duo Chaz Davies and Alvaro Bautista, the Official Winter Test at Phillip Island will hold a lot of importance as the two days will be their final chance to fine-tune the all-new Ducati Panigale V4 R ahead of its first-ever WorldSBK race. During the winter tests held at the end of January at Jerez and Portimao, Bautista impressed everyone with his quick familiarization with the WorldSBK machine. Coming from an extensive career in the MotoGP™ paddock, the Spaniard was already third at Portimao after just a few outings with the red machine since he has joined his new team. Taming the new Panigale V4 R too, Michael Ruben Rinaldi (BARNI Racing Team) will race at Phillip Island for the first time this year, meaning that on the two days of testing he will also be working to learn the new layout. For Eugene Laverty, who starts his seventh season in WorldSBK this year, time will be precious at Phillip Island as he still looks to find a good base setup for the Ducati V4 R of Team Goeleven. Joining the battle for 2019 are not just the green, blue and red machines. 2019 will also see the return of the German manufacturer BMW. The BMW Motorrad WorldSBK Team took to the track for the first time with their competitors at Jerez and Portimao, impressing with their quick progression over the four days. Tom Sykes, who made the switch to the team managed by Shaun Muir for 2019, set the sixth fastest lap time at the Portuguese race track and gave positive feedbacks on his BMW S1000RR. The same happened with Markus Reiterberger, who returns to WorldSBK after becoming 2018 STK1000 Champion. Working next to the BMW engineers at Jerez and Portimao, the German rider looks forward to making other steps forward with his WorldSBK machine during the Official Winter Test at Phillip Island. HRC will also return to WorldSBK this year as they will support the Moriwaki Althea Honda Team in 2019. All eyes will be on them at Phillip Island since we still haven’t seen Leon Camier and Japanese rider Ryuichi Kiyonari take to the track with their Honda CBR1000RR SP2. Rumors say that the team has been testing behind closed door in Thailand, and now at the two-day test in Australia we will finally be able to see where they stand as they will be facing their rivals for the first time. For Honda rider Alessandro Delbianco (Althea MIE Racing Team) this will be the first time riding at Phillip Island since he will make his debut in WorldSBK this year. The 21-year-old will take advantage of the two days to continue his approach with the new category, his new bike, and the new race track. Heading into his second season in WorldSBK, independent Kawasaki rider Toprak Razgatlioglu also impressed during the four days of testing at Jerez and Portimao, and at Phillip Island, the Turkish Puccetti Racing team aim to make a further step forward as they will be receiving here their final 2019 updates for their Kawasaki ZX-10RR. Also, Leandro Mercado (Orelac Racing VerdNatura) and Spanish rider Jordi Torres (Team Pedercini Racing) will work hard during the final two days of Official Test to improve the setup of their ZX-10RR ahead of the first round of the 2019 season. WorldSSP teams will be back into action at the Official Test in Australia. At Portimao, Jules Cluzel (GMT 94 Yamaha) set the fastest lap time despite still recovering from the injury he suffered in Qatar last year. The Frenchman closed 0.573 s ahead of Raffaele De Rosa (MV Agusta Reparto Corse), who aims to bring the MV Agusta back to victory in 2019. 2018 runner-up Lucas Mahias will ride alongside Japanese rider Hikari Okubo for the Kawasaki Puccetti Racing team this year. As he aims to claim back the WorldSSP championship title this year, the Frenchman will work hard alongside his crew to be ready for his first round aboard the green machine.